Avocado hummus! Have you ever heard of such a thing? I hadn’t until I tried some at a farmers’ market a couple weeks ago. Holy jeez. It was delicious, y’all. To make it at home, I adapted my basic hummus recipe (see how to make hummus for more pointers) and the olive oil gets replaced with a large avocado. 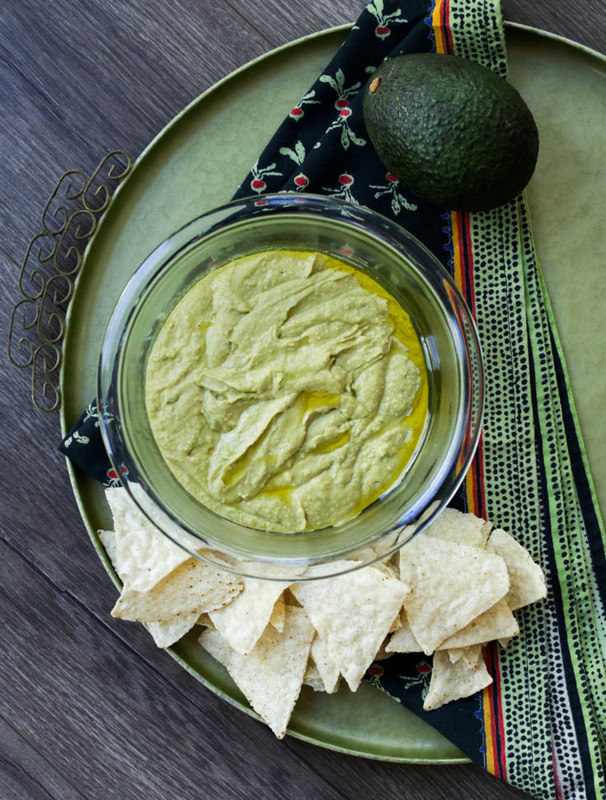 And in California where avocados are as affordable as the day is long, making avocado hummus really seems like the right thing to do. And the most surprising thing to me is how long it stays green. Even with the lemon juice I’d expected it to get a little muddy-looking after a day but it stays fresh-looking for a few days in the fridge. Also, I have not tried it (which in itself is a mystery of grand proportions) but I’d wager than a fresh jalapeño would be most welcome in this recipe, too. Drain the beans and add to a blender or food processor. Pit, peel and dice avocado. Combine all ingredients — except oil! — and puree until smooth. If you’re using a blender, you will need to stop it regularly and push the ingredients down to blend. P.S. If you cooked chickpeas yourself and have some left over, try the curried collard greens and chickpeas recipe I shared last week!